Her Royal Highness The Duchess of Rothesay will be the next Chancellor of the University of Aberdeen. The Duchess succeeds Lord Wilson of Tillyorn, who stepped down from the role at the end of December, having served as Chancellor since 1997. Her Royal Highness will be the University’s eleventh Chancellor, in a role which dates back to the merging in 1860 of King’s and Marischal Colleges to create the University of Aberdeen. The Chancellor is elected by the University’s graduate body, the General Council, and becomes its President. The chief aspects of the role – which may be held for life – are to be an ambassador for the University, and to undertake other ceremonial duties, including, on occasion, conferring degrees on graduands. The Duchess was elected unopposed by General Council members. 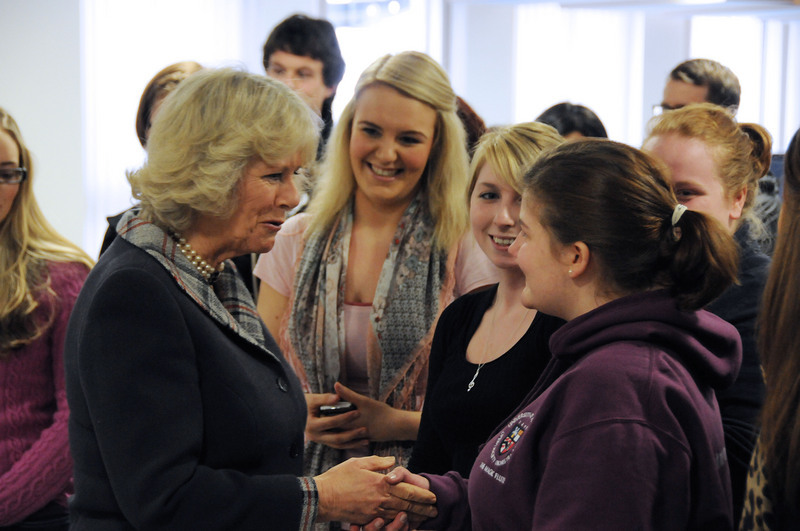 She has been a frequent visitor to the Universityof Aberdeen, most recently in spring 2012 when she visited the Schoolof Educationto meet teachers and students engaged in innovative learning programmes which have influenced teaching policy across Scotland. The Duchess also met music students and lecturers, including Professor Paul Mealor who composed the choral motet Ubi Caritas for the 2011 Royal Wedding. In 2011 the Duchess visited King’s College to meet teachers and children engaged in activities to promote reading and a love of books, as part of Aberdeen City’s innovative Reading Bus project, and in 2007 the Duchess formally opened the University’s Health Sciences Building at Foresterhill, now home to teams of researchers who are at the forefront in studying all aspects of the delivery of health care, and who collaborate with research institutions and government bodies across the world, including the EU, UN and WHO. Professor Sir Ian Diamond, Principal and Vice-Chancellor of the University, said: “I am delighted that HRH the Duchess of Rothesay will be our new Chancellor. Lord Wilson was a wonderful champion for the University both here in the UKand abroad, and we know that the Duchess will be a brilliant ambassador for the international centre of excellence in learning that we are proud to be. Lord Wilson was elected Chancellor of the University of Aberdeenin 1997, having previously served as Chancellor’s Assessor on Court (1993-97) and Senior Lay Member of Court from 1995 to 1997. Before that he was the penultimate Commander-in-Chief and 27th Governor of Hong Kong. Further to this announcement, the University of Aberdeen is delighted that Professor Iain Torrance has agreed to assist Her Royal Highness by accepting the role of Pro-Chancellor. Aberdeen-born Iain Torrance has a long association with the University of Aberdeen, becoming Dean of the Faculty of Arts and Divinity in 2001 and serving subsequently as Moderator of the General Assembly of the Church of Scotland and President of Princeton Theological Seminary.